I realize that most people won't find this funny if they haven't read the book, but I'm going to put it up anyway. 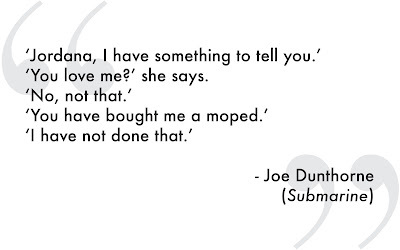 I'm in the middle of reading Submarine right now and Dunthorne is a master of writing amusing (but not laugh out loud funny) bits. The following is from a conversation between (awkward, serious, hyper-analytical) narrator Oliver and his new girlfriend Jordana, both around 15-years-old. If it helps, and I think it does, they live in Wales and so must have fantastic Welsh accents. So if you don't think it's funny, that's okay. 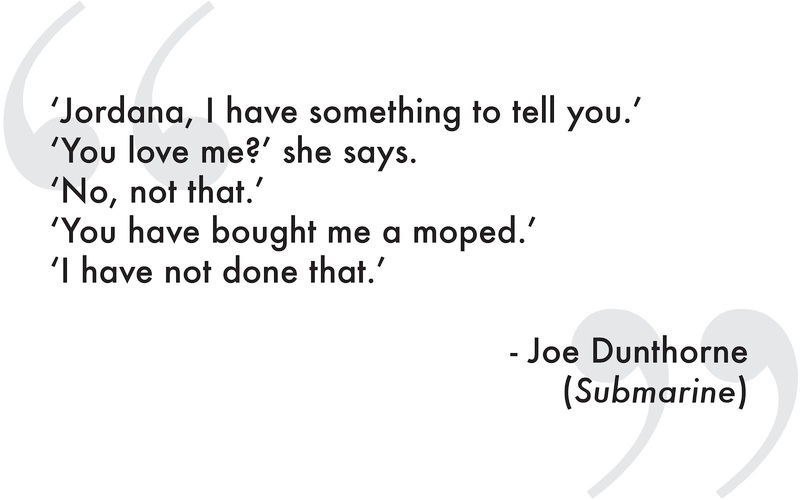 Go read Submarine! Thanks for commenting that. I meant to add a little intro. Fixed now.